Gorgeous and stunning. 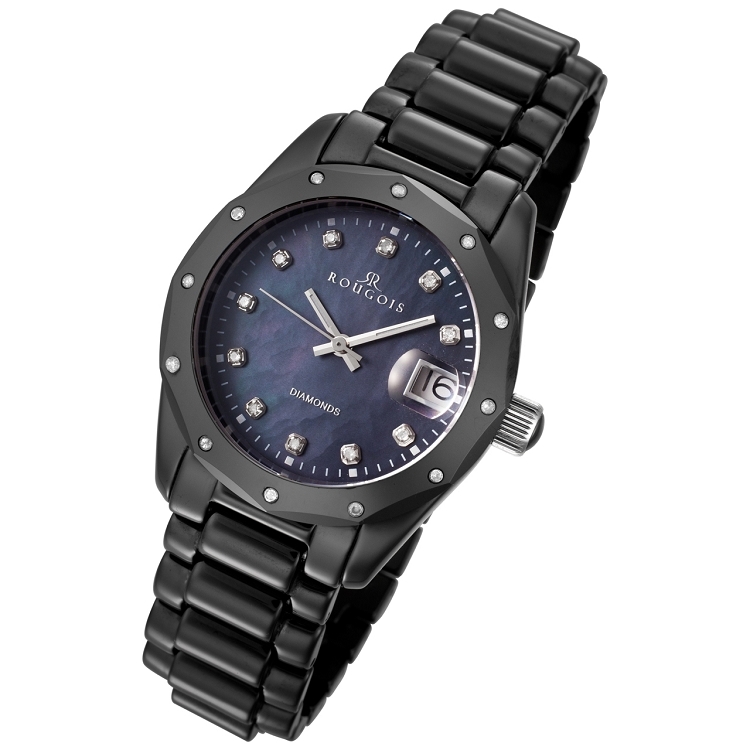 These are the words that immediately come to mind when looking at this Rougois women's swiss quartz watch that features a black hi-tech ceramic case and band. The mother of pearl dial is equipped with a magnified date window at the three o'clock position and adorned with the Rougois logo and 11 genuine diamonds. An additional 12 more diamonds on the bezel, for a grand total of 23 genuine white diamonds, compliment this watch and give it that extra WOW factor.